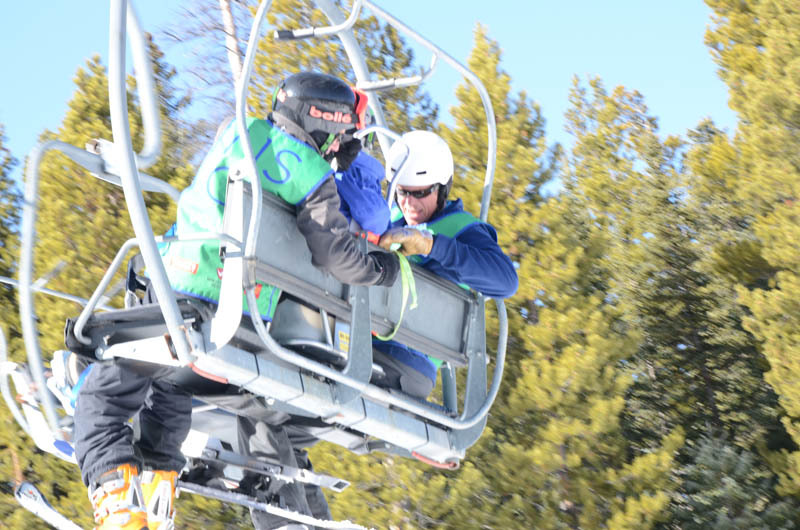 Joe couldn’t have skied without the National Sports Center for the Disabled (NSCD) , their programs, their people and their equipment. 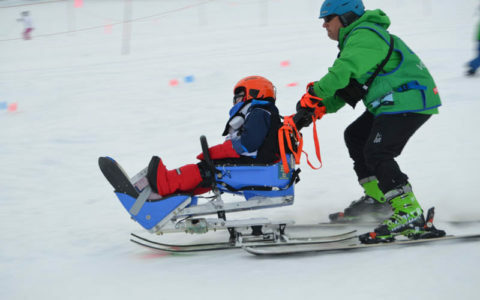 The NSCD needs our help, please join us and Buy Joe Skis! 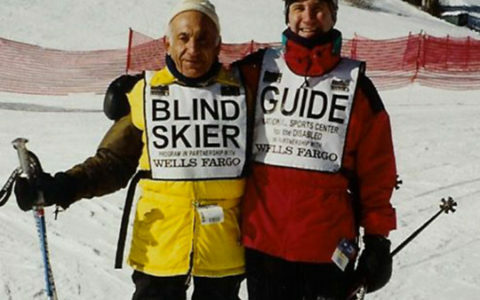 Joe skied with the NSCD (National Sports Center for the Disabled) for over 30 years, not stopping until he was 79 years old. He won three national medals over the years: two slalom golds and one giant slalom gold. Joe was blind. 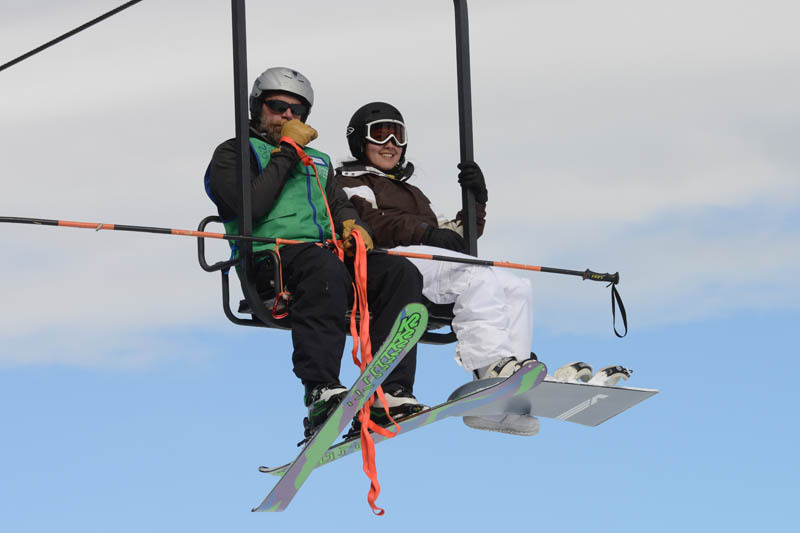 Joe couldn’t have skied without the NSCD, their programs, their people and their equipment. 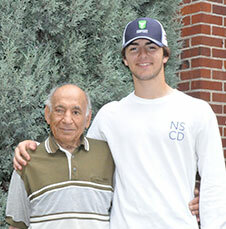 The NSCD serves physically and otherwise disadvantaged people every year. A key part of their program is being able to have good, reliable, and safe equipment for all the program participants. 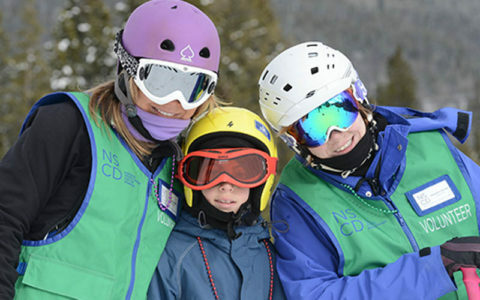 To do this, the NSCD needs to replace 1/3 of their equipment every year (85 sets of skis, bindings, poles, and other equipment like sit skis). 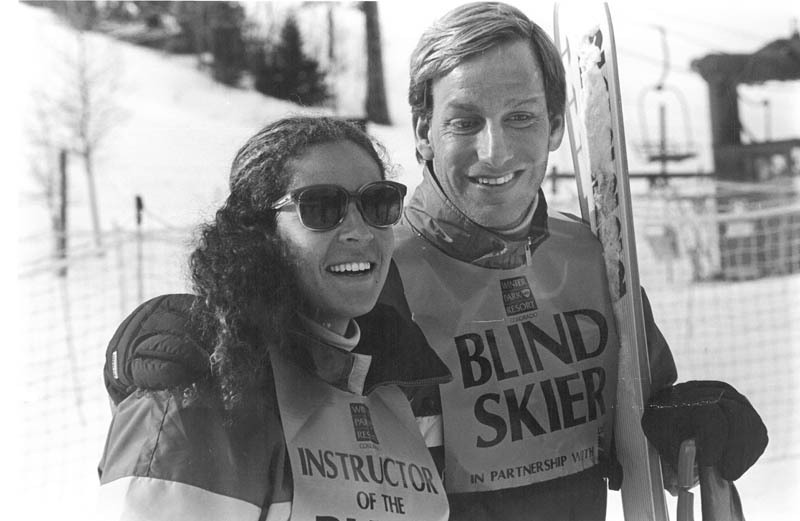 Buy Joe Skis is to honor Joe’s legacy, determination, convictions and courage by taking over the replacement of this equipment for the NSCD. 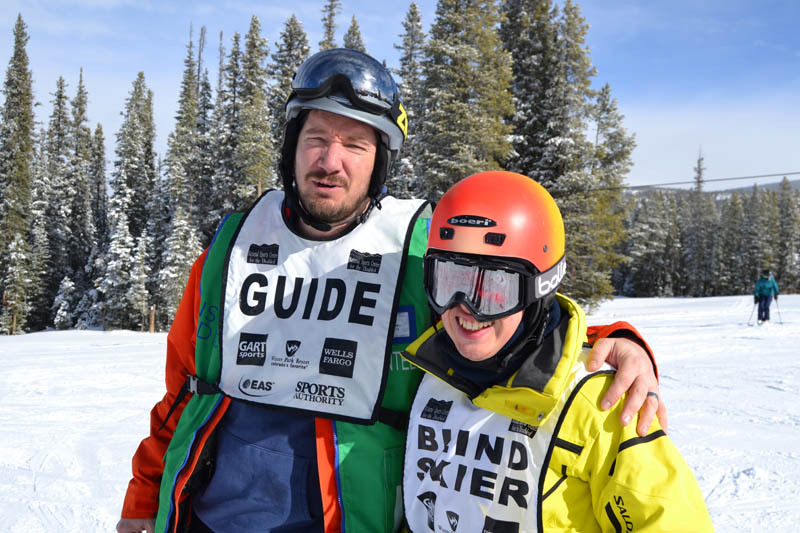 Joe would want all of us to step up, buy a set of poles, a pair of skis, or a complete set for the NSCD so others like Joe can experience skiing, the mountains, and being outdoors like the rest of us. 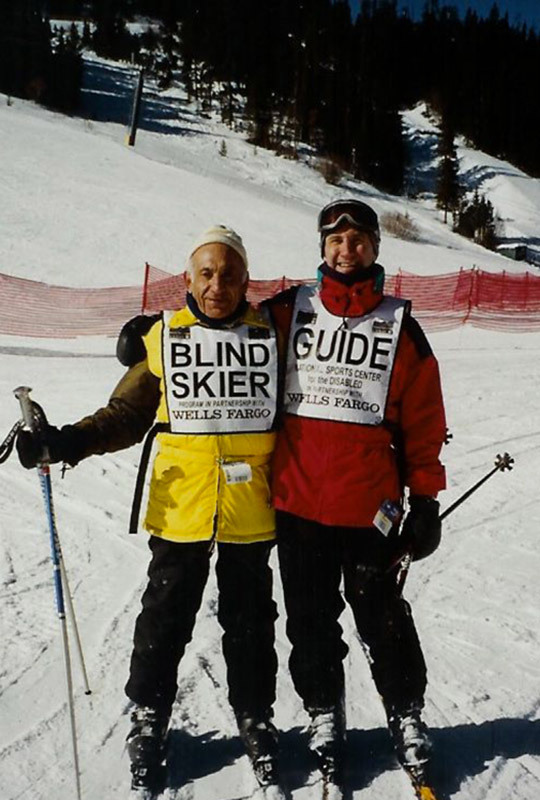 Joe Pasqua was my Grand Father, I co-founded Buy Joe Skis to honor him and because he would have expected me to step in and help others. 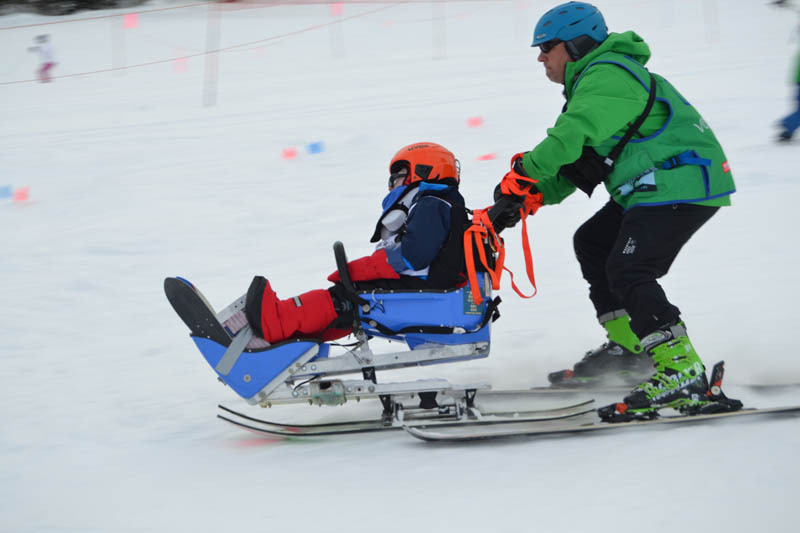 The NSCD needs our help, please join us and Buy Joe Skis! The National Sports Center for the Disabled (NSCD) is one of the largest therapeutic recreation agencies in the world. 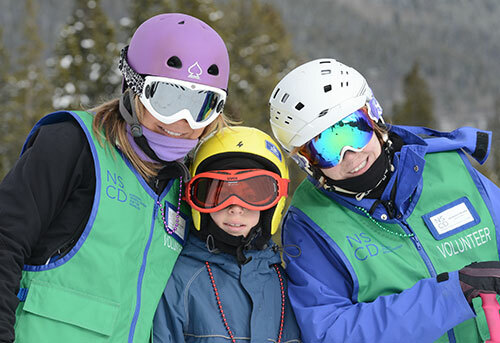 The NSCD offers a variety of year-round sports and recreational adventures. 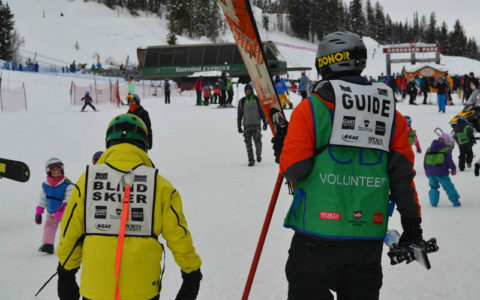 In the winter participants enjoy alpine skiing, snowboarding, cross-country skiing, Nordic hut trips, snowshoeing and ski racing. Additionally the NSCD offers year-round rock climbing and kayak lessons. 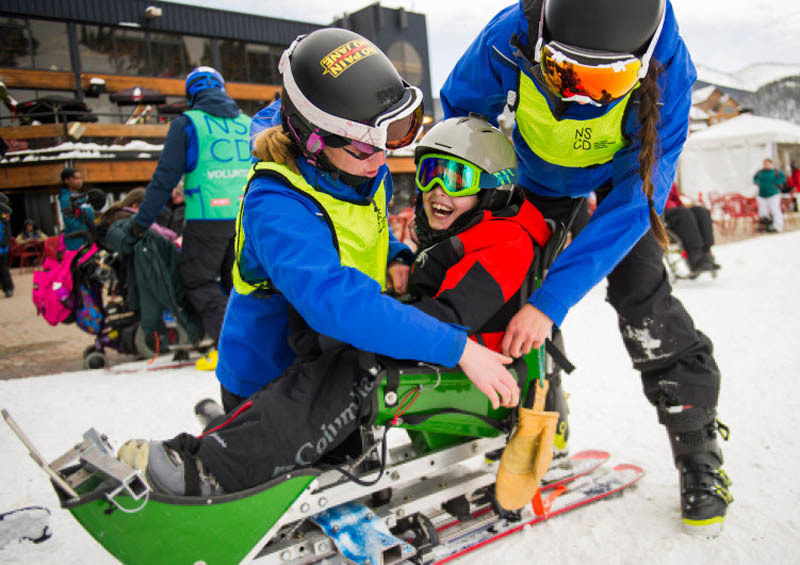 In the spring, summer and fall we offer sport ability clinics, rafting, canoeing, special camps, therapeutic horseback riding, mountain biking and camping. All programs are designed for individuals, families and groups and are available for all disability and diagnosis, all ages. 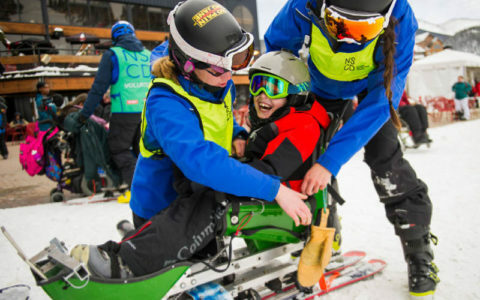 All Buy Joe Ski’s donations go directly to the NSCD. All donations are tax deductible and solely benefit the NSCD. 100% of the funds go to purchasing equipment. We appreciate and accept donations of any amount. Below is a list of items, and the costs associated with them, that will be purchased with the money from your doantions. BuyJoeSkis and the NSCD are very appreciative of your support. Thank You. Thank you for your support. 100% of the proceeds go toward purchasing of equipment. Donations are tax deductible. Joe Pasqua proudly served in the Korean theater as an E5 Company Clerk in the Army. He lost his sight as a direct result of his involvement in the Korean war. 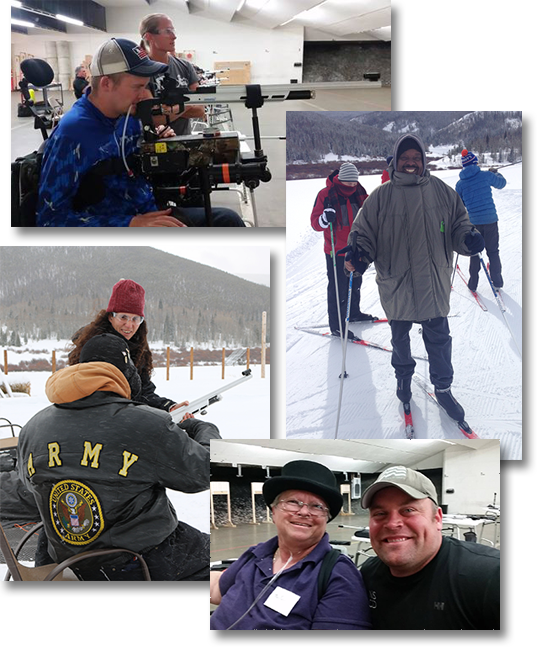 Not only did Joe lead a productive life after his Military service but he continued to serve other Veterans as an active member of the Blinded Veterans Association in Colorado and Nationally. 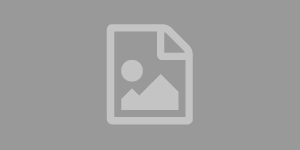 He served on several committees, worked with legislators, and served as Secretary, Vice President, and President of the BVA Chapter in Colorado. Joe and his wife Dorothy were active members of the BVA up until the time of his passing, serving in the BVA for over 50 years. His mission was to advocate for Veterans like himself who had served their country and lost their sight while an active member of the Military. The NSCD serves around 200 vets a year and offers a number of programs that are free to veterans with disabilities, including indoor/outdoor kayaking, rock climbing and an air gun program. 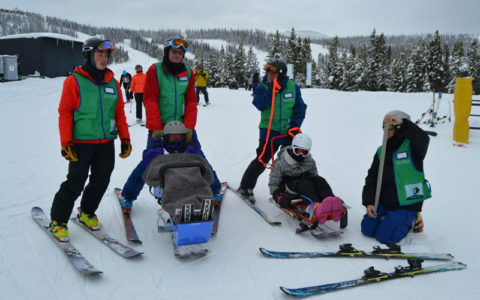 Once a year the NSCD staff take a group of vets up to Snow Mountain Ranch for a day of snow and Paralympic activities. 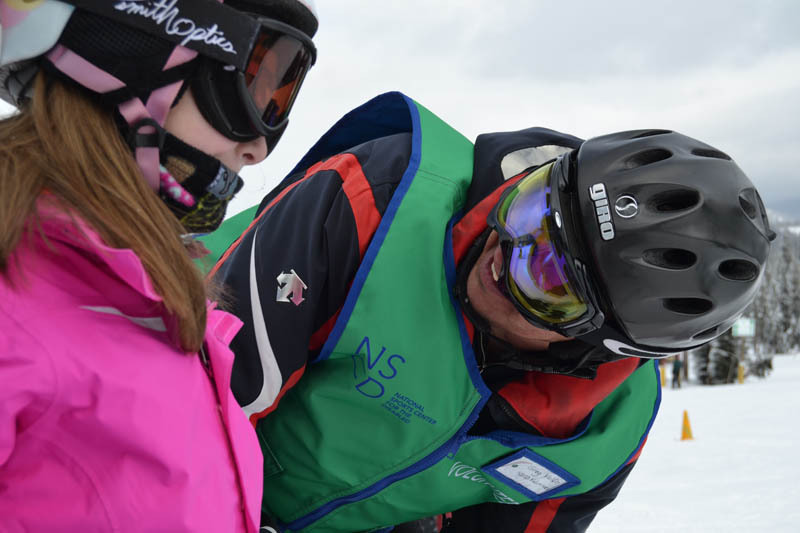 These activities include biathlon shooting, cross country skiing, snow shoeing, curling and sled hockey. This would not be possible without equipment. Joe would expect us to serve those who served our country. 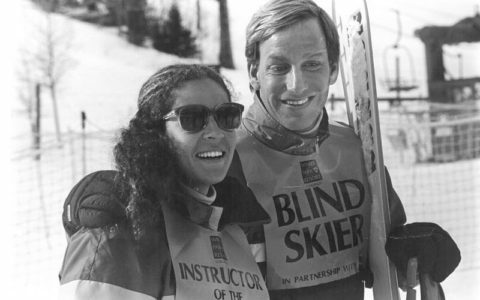 You can do so by supporting the NSCD through Buy Joe Skis. 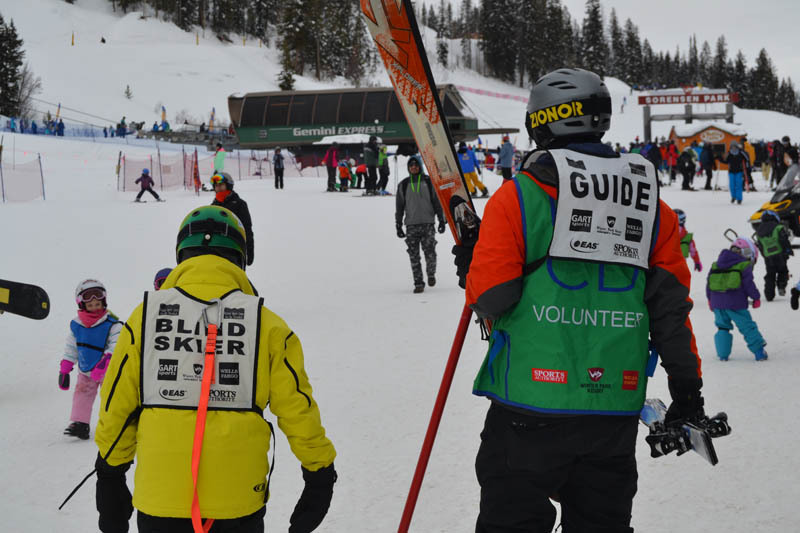 All the Buy Joe Ski’s Team Members are volunteers and donating their time and talent to a damn good cause! Michael is a Junior at Marquette University High School in Milwaukee Wisconsin. He is an avid skier and snow boarder. Kevin is Joe’s son and Michael’s dad. 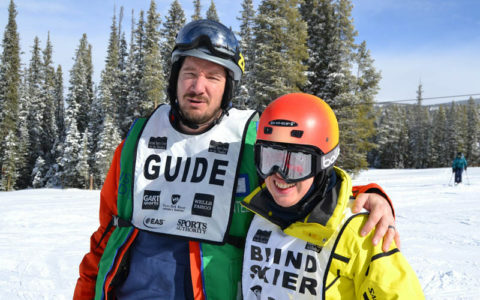 He was Joe’s primary guide and worked with and taught other handicapped skiers at both the Winter Park and Loveland ski areas. Jill is an avid skier and loves being in Winter Park in both the winter and the summer. Jill was very close to Joe and is honored that her family can take the lead in helping out others like Joe enjoy all that the Colorado Rockies have to offer. Jill is Kevin’s wife and Michael’s mother. Alan McGinty supervises and provides web hosting services and makes sure the BJS site stays up and running. Billy is a classmate of Michael’s at MUHS. Billy provided the logo design and is the creative support behind BJS. 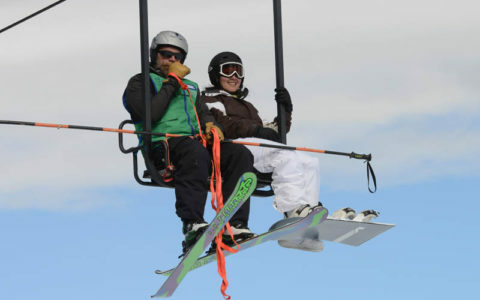 The competition is open to local area High School ski teams. 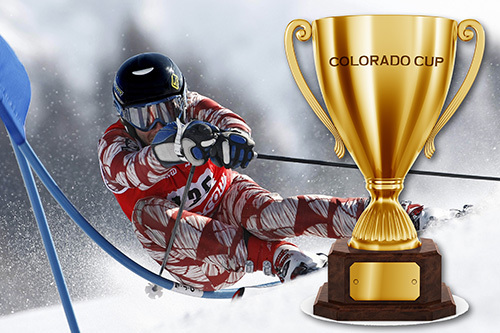 The team that raises the most money per person will be presented with the Colorado Cup Trophy and recognized by both Buy Joe Skis and the NSCD. In addition each ski team member will receive individual recognition from the NSCD. Donations must be made through the “Donations” section of this website. How does a team receive credit for a donation? By putting your team’s name in the line marked Company in the contact information on the donation page. Who can donate: Team mates, friends, family, class mates, of any ski team member. Coaches, equipment managers, friends and family as well. 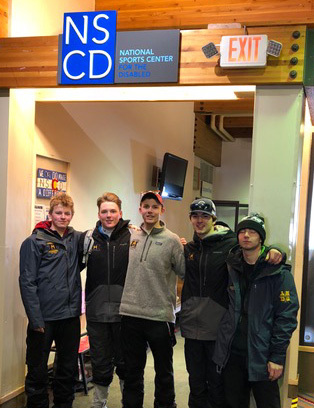 Trophy Presentation/Team Recognition: The presentation of the trophy will be made at a time and place agreed upon by the Executive Board of Buy Joe Skis and the winning team. 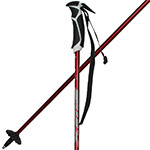 Reporting: Buy Joe Skis will provide a weekly update to all ski team captains and the weekly update will be posted on the Buy Joe Skis website. 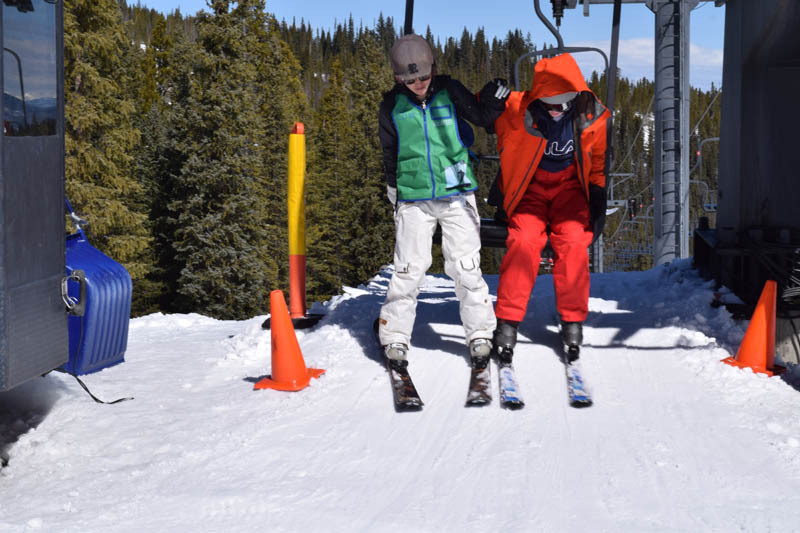 MUHS Ski Racers in Winter Park, CO. 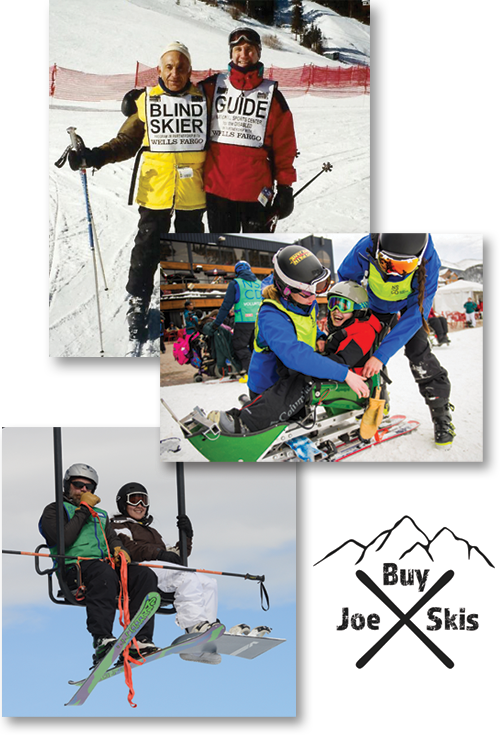 In the past year Buy Joe Skis raised enough money for the NSCD to purchase 50 pairs of skis, boots, poles and one sit ski. This year we would like to exceed that amount by at least 20 pairs. 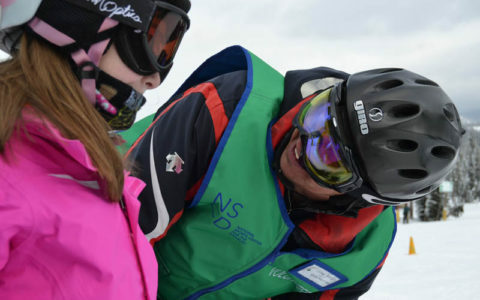 100% of all funds raised and donated through Buy Joe Skis go directly to purchasing equipment for the NSCD. All donations are tax deductible, no donated funds are used for administrative expense. 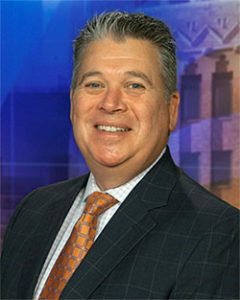 Buy Joe Skis is honored to have Brandon Cruz from Fox6 News as our celebrity sponsor for the Colorado Cup. Brandon will be presenting the awards to this year’s winners.